~don't believe his uppercase lies. lowercase is coolercase. NOW BACK TO YOU'RE REGULARLY SCHEDULED GAME DESCRIPTION! Yo, are you a judge for the Indie Game Making Contest 2018? If so, there is nothing important nor interesting here, so feel free to enjoy the game. Sup peeps, it’s YA CORP, Balloon Co. [gaming division]. We have a message to EVERYONE participating in this year’s contest. You’re welcome for making it better this year than last year! But we are not done with our service to other game makers (and our anti-service to corporations that are not us)! Behold, our computer lab researchers have discovered an exciting yet dangerous game creation technique: the gamevertisement. We at Balloon Co. [gaming division] are dedicated to accessibility options for people who are unable to play our game. THUS, if you send a private message to us asking… BREAKING NEWS! WE’VE JUST BEEN INFORMED BY AN INTERN THAT ITCHY E I E I O DOESN’T ALLOW PRIVATE MESSAGES!!!!!!!!!!!!!!!!!!!!!!!!!! Ok, time for plan bees: If you are unable to play “You Are Welcome” head over to our old game “The Protest Vote” and comment there that you want to enter the game jam (you can find it via our profile). That contest is over, so we can’t get in trouble for giving you the link there (assuming our lawyers didn’t skip on law day training last week and instead did leg day... again...). You should be able to just extract the .exe file. When you run it, it will extract the game, then double click on game.exe. When we tested by uploading and downloading, when we ran the .exe, we got a message from windows saying it prevented it from running because it was worried for our safety. Just click more info and run anyway. 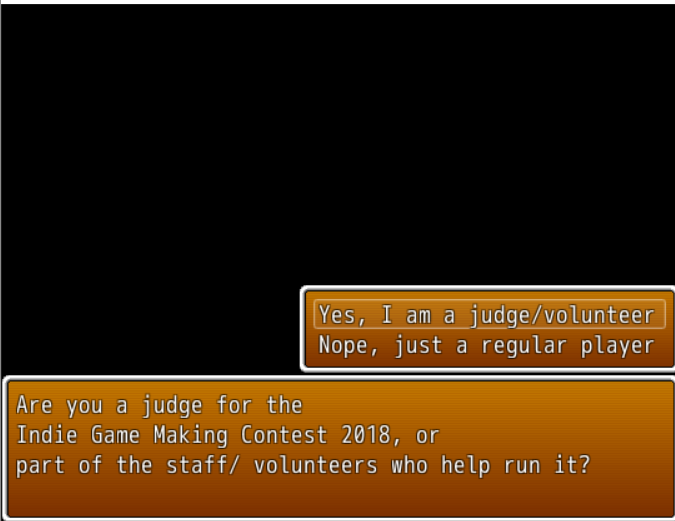 Unless you don't trust RPG maker. That's up to you!